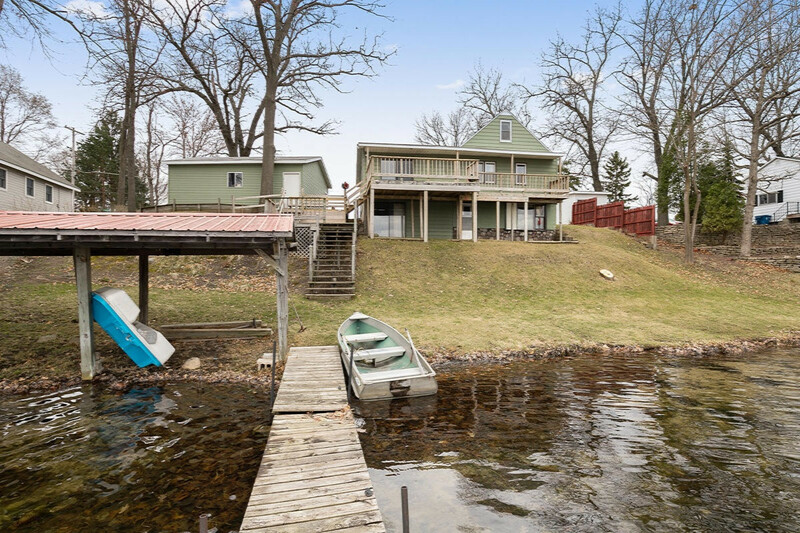 Beautiful lakefront setting with 96 ft of private frontage on Little Myers Lake. All-sports lake is great for fishing, boating, jet skis or just relaxing. The vintage house has 3BR/2BA plus ample living area. In the same family over 50 years, this home has been well loved and needs updating, so bring your imagination. Great lake views from all floors, expansive deck with stairs and landings down to the lake, Sliders on the lake side from main floor and walkout level. Plus Garage, dock and boat house. Updated mechanicals and includes a Home Warranty.